Chaos Created is pleased to announce the roll-out of a YouTube video channel for Portishead-based company, T&G Woodware. 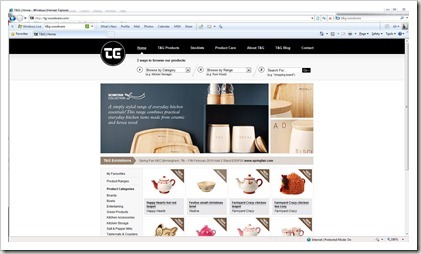 T&G Woodware, a specialist in the housewares industry, recently relaunched its web site at http://www.tg-woodware.com and asked Chaos Created to develop content for a video channel. The channel, which is now live on YouTube, features mostly product demonstration videos for T&G’s range of products, including chopping boards, cork, CrushGrind Mills and more. We filmed these last month and featured Patrick Gardner, founder of T&G Woodware, and Jenny Handley, head of marketing. We’re hoping to bring more videos to the channel next year. T&G also asked us to produce a couple of “fun” videos too. We’ll be launching the second of these next week, but the first one is live today. 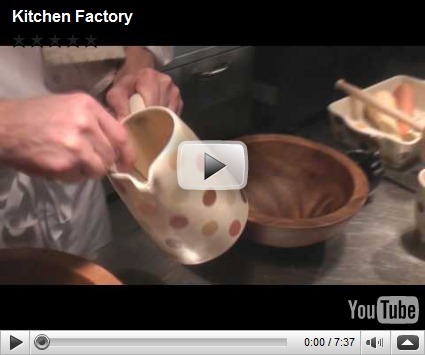 We asked chef, Grendel Bessell, to knock up a three course meal, to rhythm in a video called Kitchen Factory. We filmed this down at Rookery Manor last month. The video is embedded below. The rest of the videos can be found on T&G’s YouTube channel at http://www.youtube.com/user/TGWOODWARE or through the links on their web site at http://www.tg-woodware.com. T&G Woodware was formed in 1975 by Patrick Gardner as a means to provide cash while operating as a Sales Agent in the Housewares Industry, this was to pay day to day expenses as some of the companies represented could take 4 months credit on the due commission. Patrick spotted a big gap in the market for quality woodware products which we were able to fill. Reliability and imagination paid dividends with many firsts in the industry including care and protection for chopping boards, lifetime guarantee for pepper and salt mills. T&G were also responsible for renaming “rubberwood”, the popular wood for furniture and kitchenware as “Hevea” a shortened version of the latin name hevea braziliensis. T&G prides itself on well designed, quality products that will stand the test of time. How about a chopping board as an heirloom or a T&G CrushGrind® peppermill. T&G offers over 650 products within its portfolio with a variety of materials FSC beech, hevea, acacia, ceramic, marble, cork, bamboo and of course the successful CrushGrind® Salt and Pepper Mills.